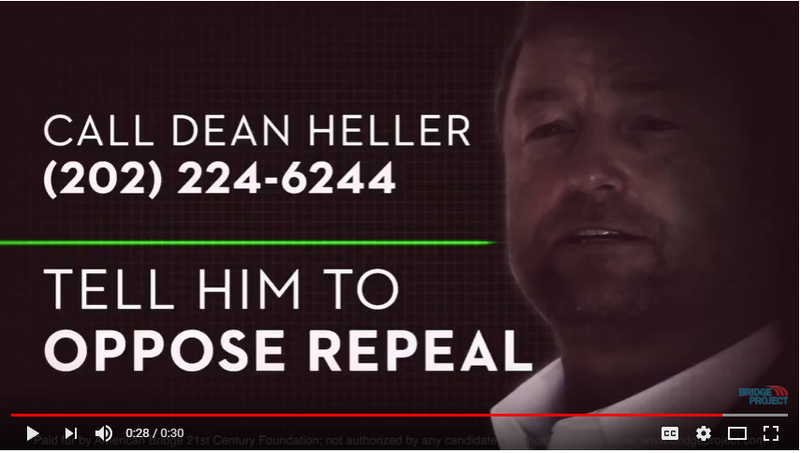 “Today, Dean Heller yet again broke his promise to protect Nevadans’ health care by pushing his disastrous plan to repeal the Affordable Care Act — all to score partisan points. By signing his name to this latest legislation — which independent studies say would end Medicaid expansion, kick over 200,000 Nevadans off their health care and raise costs for millions more — Dean Heller is sealing his political fate. Count on Nevadans to hold Heller accountable at the ballot box next November for fighting to undermine their health care,” said American Bridge President Jessica Mackler.